Governor Arnold Schwarzenegger and Maria Shriver yesterday inducted 13 visionaries and trailblazers into the California Hall of Fame. The newest inductees were: Ansel Adams, Milton Berle, Steve Jobs, Willie Mays, Robert Mondavi, Rita Moreno, Jackie Robinson, Dr. Jonas Salk, John Steinbeck, Elizabeth Taylor, Earl Warren, John Wayne and Tiger Woods. First Lady Maria Shriver and the California Museum established The California Hall of Fame in 2006. Its purpose is to honor legendary people who made their mark on history, and embody California’s innovative spirit. Inductees to The California Hall of Fame come from all walks of life. Their distinguished achievements cross a wide variety of fields. Fields include the arts, business, education, labor, philanthropy, public service science, and sports. 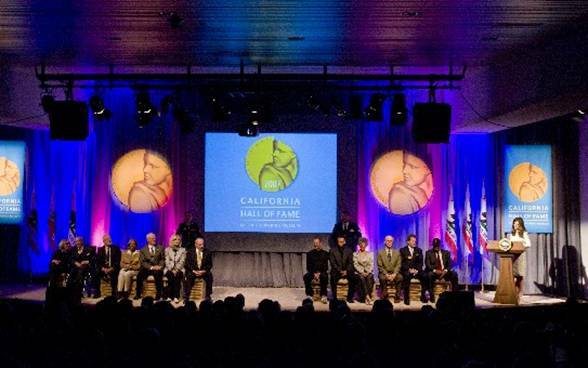 Induction to The California Hall of Fame is an official award from the Governor of California. The awards are given at an official State of California ceremony. Each inductee is presented with a Spirit of California medal by the Governor. 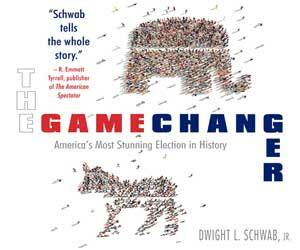 ?The California State Archives permanently record each inductee’s accomplishments. The photos below were taken at the Secretary of State Building and the California Museum for History, Women and the Arts in Sacramento, CA. 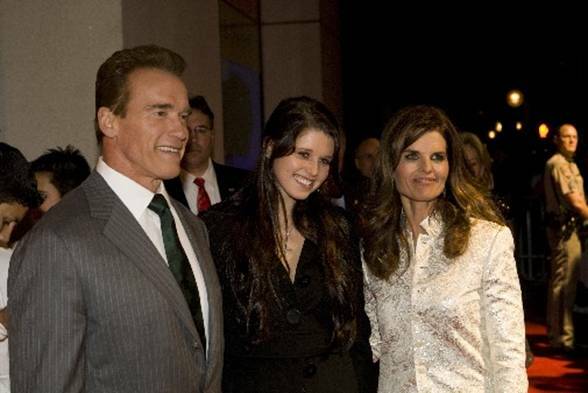 Governor Arnold Schwarzenegger, Katherine Schwarzenegger and Maria Shriver on the California Hall of Fame red carpet. From left to right, Margrit and Robert Mondavi, Michael Adams, Rachel Robinson, Bob Warren, Lorna Berle, Thomas Steinbeck, Steve Jobs, Tiger Woods, Rita Moreno, Dr. Peter Salk, Patrick Wayne, Willie Mays and Maria Shriver. 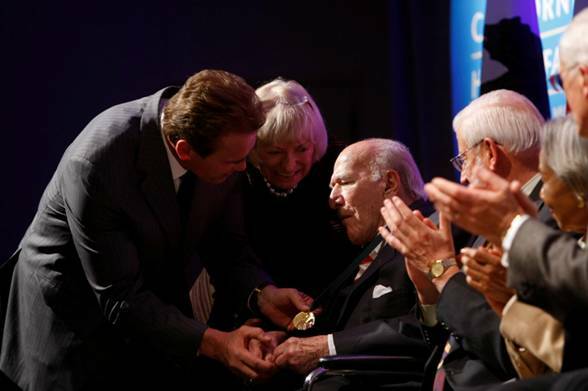 Governor Arnold Schwarzenegger awards the Spirit of California medal to Robert Mondavi, joined by his wife Margrit Mondavi. 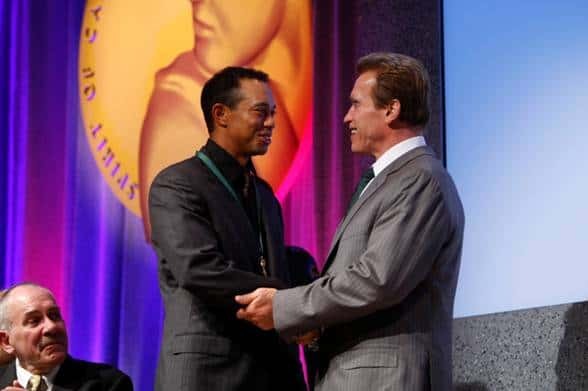 Governor Arnold Schwarzenegger awards the Spirit of California medal to Tiger Woods.